This past Friday, my friend Selim joined me on a backroads adventure to New Ulm, Industry, and Welcome — three small Texas towns located along a stretch of FM 109. I was interested in taking some pics and doing some research for my new Explore Texas Blog and was happy to have Selim join me. We followed FM 1094 from Katy to New Ulm and then turned north on FM 109. On our way out of New Ulm we noticed the local cemetery. 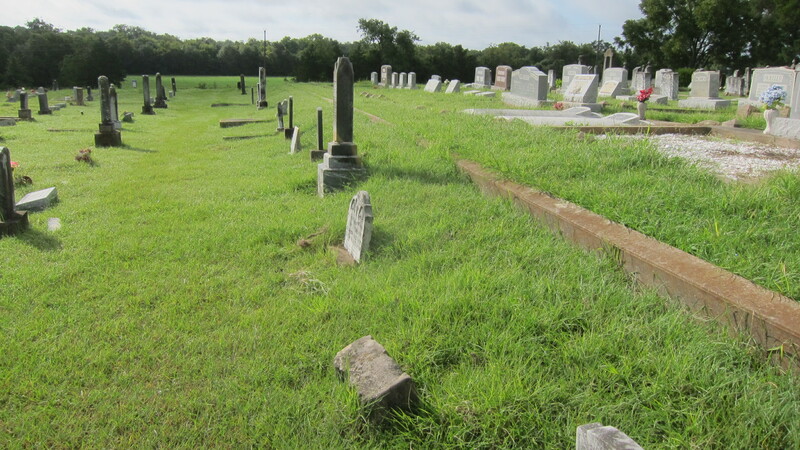 Even from the road we could see rows of weathered headstones in this burial-place established in 1853. So, we pulled into the old cemetery to check out the names and dates on the old headstones. The first grave we came to belonged to a child who died at 5 years of age. Beneath the date of this child’s death were the words “Gone So Soon.” The next several graves all belonged to children who had died at the turn of the twentieth century. Several had lived a few months, some only a few days, and a few died on the day they were born. Two graves belonged to six-year-old twins who died within days of each other. As we walked among the graves of these children, Selim and I speculated about their deaths. Had these children been the victims of an epidemic? That seemed the most likely scenario. And how had the deaths of so many children impacted the small German community of New Ulm? What fear did the parents live with as they learned that a neighbor’s child had died? Whose child would die next? The answer would come a few miles down the road in the tiny community called Welcome. When we arrived in this easy-to-miss spot in the road, we stopped by the Welcome Store, established in 1890 and now a Texas Historic Landmark. Inside we met and struck up a conversation with Leonard and Lynn, the current proprietors. Lynn told us that the children in New Ulm were victims of a typhoid epidemic, the same one that had claimed the lives of children in Welcome. 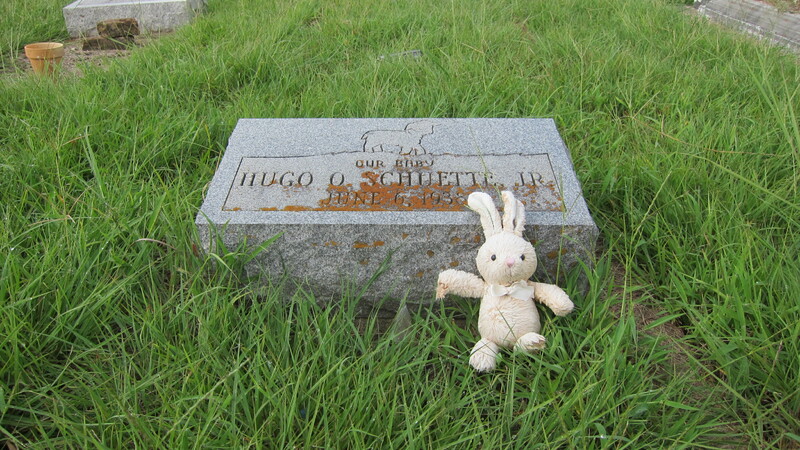 One grave that caught my attention belonged to a little boy named Hugo who was born on June 6, 1938 and died on the same day. At the top of the stone were the words “Our Baby.” And leaning against the stone was a small white bunny. Who, I wondered, had placed this gift at this child’s grave? Conceivably the child’s mother or father might still be alive. Whoever it was did more than leave a gift, they left a reminder that the life of this child, however brief, was important. 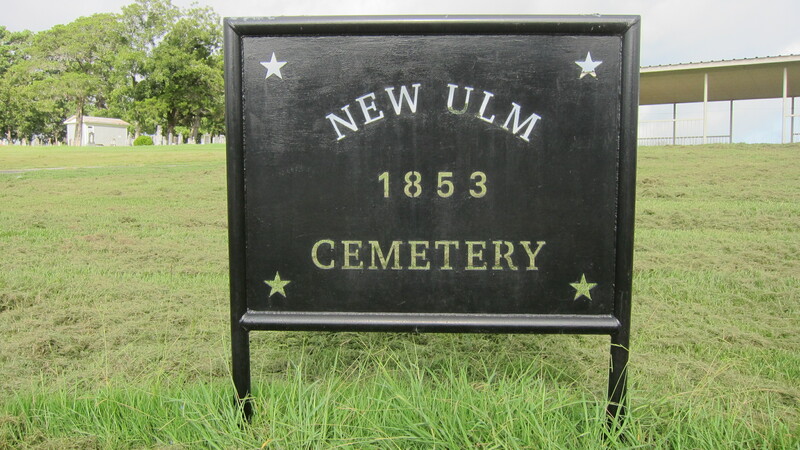 How different were the children buried in the New Ulm cemetery regarded than those in the news in recent days. The videos of Planned Parenthood workers speaking about the dismembered remains of aborted babies with complete callousness are disturbing. The deaths at sea of refugees, including children, fleeing civil conflict in Syria and the despised Rohingya dying while searching for a place to call home are painful to read about. The late Christian philosopher Francis Schaeffer cautioned that the erosion of the sanctity of human life puts us all in danger. Once abortion becomes commonplace, he warned, then the next battle front will be infanticide and then ultimately euthanasia. Our nation and world are indeed on a slippery slope. Those who disregard the sanctity of human life here at home cannot point a finger at ISIS because they decapitate their victims. The methods of killing, however disturbing, are symptoms of something deeper — a disregard for the sanctity of human life, a refusal to believe that all people have value because they are created in the image of God. Baby Hugo lived less than a day, but he was wanted. He was loved in life and treated with dignity at death. And he is loved still. Grateful for your friendship, Selim. Thanks for traveling with me.